The Melanoma Research Foundation (MRF) has launched a campaign that encourages everyone to get naked. The program, which is geared toward earlier detection of suspicious moles, encourages people to get naked, check their skin and talk to others and an expert if a suspicious mole is found. While the name of the campaign, GetNaked, certainly draws instant attention, the underlying reasons for the campaign are the 137,000 new diagnoses of melanoma that are made each year. In its early stages, melanoma is primarily curable; however, this does not remain the case as the disease becomes more aggressive. Once you have followed the MRF's advice to GetNaked, there are a series of steps that should be followed to perform an adequate self-exam. 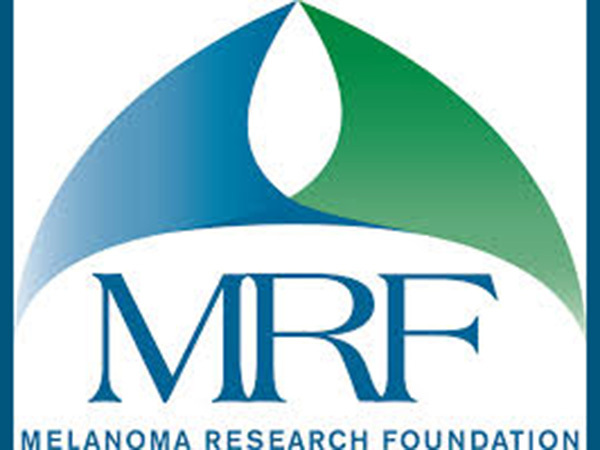 To help the process along, the MRF has created a helpful self-screening guide, which can be downloaded at melanoma.org. For more information on GetNaked, including the ins and outs of doing a self-exam, CURE talked with Shelby Moneer, Director of Education at MRF. The campaign is called GetNaked, how commonly does melanoma develop in areas less frequently seen by the sun? In men, melanoma is most frequently diagnosed on the trunk (chest) and back, followed by the head and neck. We regularly hear stories about not only patients spotting their own melanomas, but also partners and spouses spotting melanomas on their loved ones. One friend of the MRF told us that his “nagging ex-girlfriend” made him go to the dermatologist to get a suspicious mole examined, and it turned out to be melanoma. Ultimately, having a dermatologist look at this suspicious spot likely saved his life. On women, melanoma is most frequently diagnosed on the arms and legs. The bottom line is that melanoma can be found anywhere on the body, and sometimes, those places can be difficult to spot. It is most important to pay attention to your body and bring anything that is new or changing to the attention of an experienced dermatologist as soon as possible. What are the main barriers to getting naked and performing self-checks? It’s been a simple lack of knowledge around this disease. The general population simply isn’t aware that melanoma has the ability to spread to distant organs, nearly 90 percent of melanomas are thought to be caused by too much UV exposure (in other words, most melanoma diagnoses are preventable), and catching melanoma early could mean the difference between life and death for most patients. How long does a thorough self-check take, and how often should they be done? The MRF recommends yearly professional skin exams by a trained dermatologist and monthly self-skin exams at home. The time a thorough self-skin exam takes depends on each individual. For someone with a lot of moles, it will take more time to thoroughly examine the skin. For someone who doesn’t have a lot of moles, it might take just a few minutes. What is the importance of performing self-checks? Detecting melanoma when it’s early enough to treat could mean the difference between life and a life-threatening illness. Although there are a handful of FDA-approved treatments for advanced melanoma, experts agree that preventing melanoma and detecting it in its early stages are the best ways to make a real difference in this disease. How dramatically different is treatment between an early stage melanoma and a late stage melanoma? In early stage melanoma patients, the full removal of the lesion (via surgery) is usually the only treatment necessary. It is important to find out whether or not there is lymph node involvement if the patient is diagnosed at stage 2 or 3, which usually requires additional surgery. If the melanoma has spread to distant organs (stage 4), that patient will usually undergo some type of surgery, lymph node dissection and then one or more types of systemic (drugs that spread throughout the body) treatment. Systemic treatments, as well as surgeries, can have major, life-changing side effects. More information about melanoma treatment options can be found here.